The full version of Football Manager 2018 has arrived and is available for download. At The Set Pieces we’ve run the rule over a handful of the new features on this year’s game, picking out our five favourites. Whenever I start a game on Football Manager, my first port of call is to head over to the scouting department to assess the existing staff I’ve inherited. My second port of call is usually to dismiss every single one of them unless there happens to be someone knocking around with a 20/20 rating for judging player potential. It’s an unforgiving world, football. Assembling a first-class scouting team made up of specialists from all corners of the globe is the aim as far as I’m concerned and, while that aspect of the game will always remain the same, the folks at SI have dedicated plenty of time to improving the scouting platform and making it more realistic. As you can see in the above screenshot, this year you can purchase a scouting package tool (ranging from just one division to the whole world). 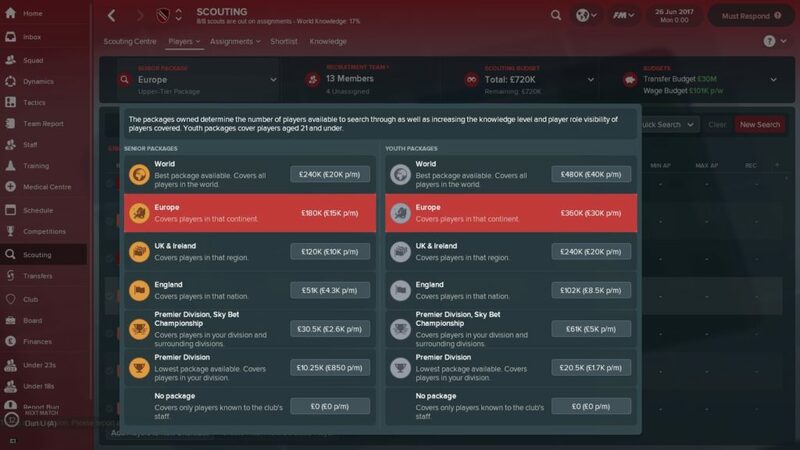 This means that when you head to the player search screen, there will be more players to find depending on the kind of package you own, making it easier to identify potential transfer targets for your army of scouts to look at. That’s not all either, not by a long shot. In the past, scouting reports could be a tad hit-and-miss due to the scoring system that rated players’ current and potential abilities out of five stars. This year scouting reports are more accurate, as players are graded out of 100, with 1 being utterly useless and 100 being Lionel Messi levels of superhuman ability. Injuries. The excuse that every manager has drawn upon at least once in their career to explain a defeat. Jose Mourinho recently lambasted his Premier League rivals for crying about injury problems in what might be the biggest example of the pot calling the kettle black in the history of the universe. Whether you are the type of online gaffer to bemoan your bad luck with injuries or not, they are an unfortunate and inescapable part of the game. 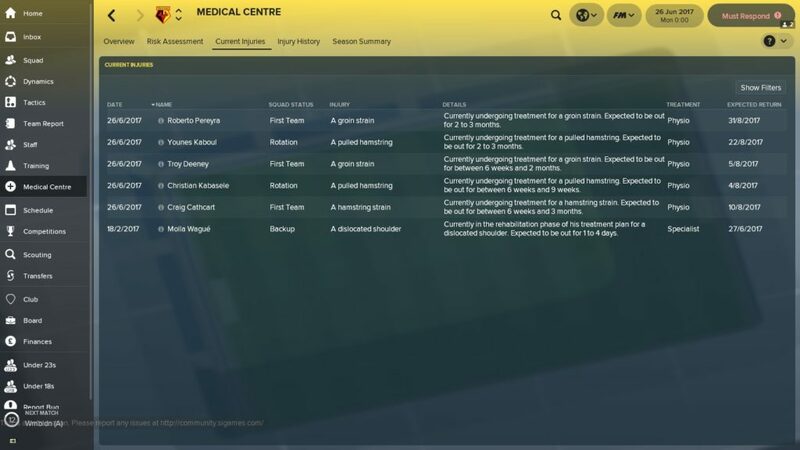 Losing a key player for weeks or even months at a time is a disaster for any manager but, at least on FM18, you can prepare yourself for the worst thanks to the new medical centre feature. This is where the sports scientists (brought into the game last year) can show off their expertise. 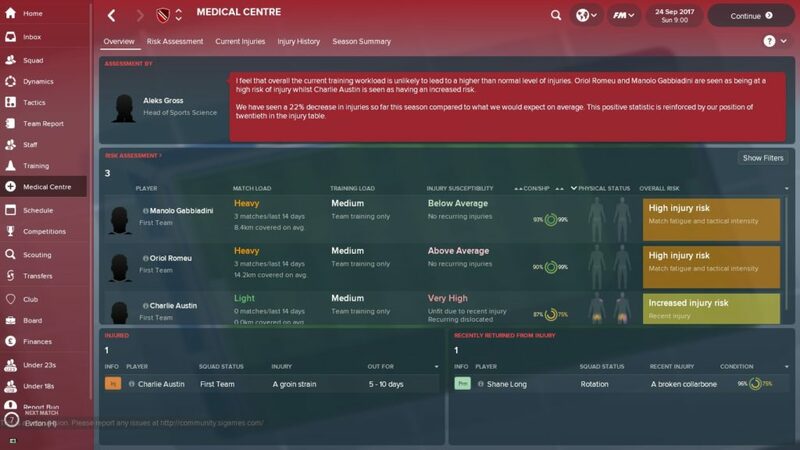 Not only does the medical centre give you detailed reports on a player’s injury history, plus expected return dates, there is also a risk assessment tool which works out how susceptible a player is to picking up knocks. If a number of players are rated ‘high risk’, chances are you’re working them too hard in training. 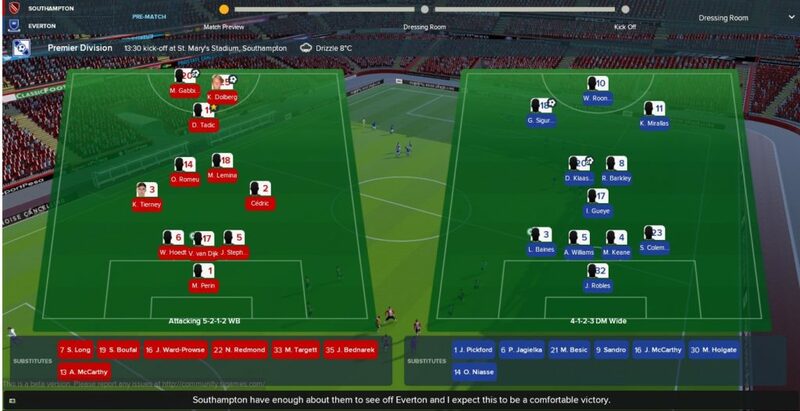 As you can see in the above screenshot from my Southampton save, poor old Manolo Gabbiadini is on the brink of physical and mental exhaustion due to playing virtually every game. The shallow pool of players able to score a goal in my squad has meant that Manolo has had to carry much of the burden in attack. Whereas before you’d be tempted to muddle along with a key player in the hope that they would somehow avoid injury, having a tool that tells you whether someone is in desperate need of a rest is a welcome addition. Manolo, book yourself a flight to Italy, son. Take the week off, you’ve earned it. 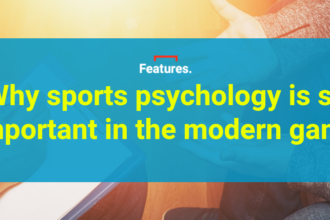 The use of analytical tools in football is more widespread than ever and SI have been keen to keep up with the trend in recent years. 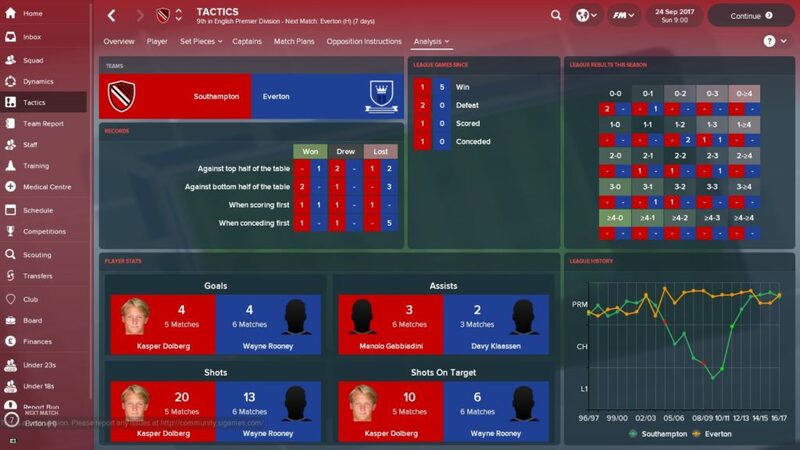 On FM18, analysis has taken on an even more prominent role, particularly when it comes to tactics. The days of playing a rigid 4-4-2 and expecting your players to get on with it are long gone. Nowadays, tactical flexibility is key and the analysis dropdown in the tactics menu will give you an insight into whether your tactical instructions are actually having a positive effect or (sadly in my case) doing absolutely nothing. Here you can find out how many clearcut chances your team is creating, which is useful if you’ve been alternating between tactics and are unsure as to which is the most suitable for your players. Furthermore, if you are employing a style of play that places an emphasis on getting the ball out wide and slinging it into the box, you can now see which areas of the pitch have been the most fruitful in providing goals. There is no hiding place for underperforming players anymore. You’ll be able to analyse your team’s last performance to see what went well and what didn’t in order to adequately prepare for your next opponent. There are informative statpack comparisons on the team you’ll face next and there is even analytical information on your team talks which will give an insight into just how detested you are by your players. As I found out the hard way. Dynamics – Who’s Mates With Who? Before the days of social media, the dressing room dynamics of a football club largely remained a mystery. Everyone knew David Beckham and Gary Neville were best buds, but only after the latter was the best man at Posh and Becks’ wedding. Other than a handful of bromances, nobody really knew which teammates were BFFs. That has changed a bit nowadays thanks to social media, and it is almost impossible to ignore Dele Alli and Eric Dier’s escapades on Instagram, for example. Still, who rules the roost in the dressing room is largely something that is speculated over. 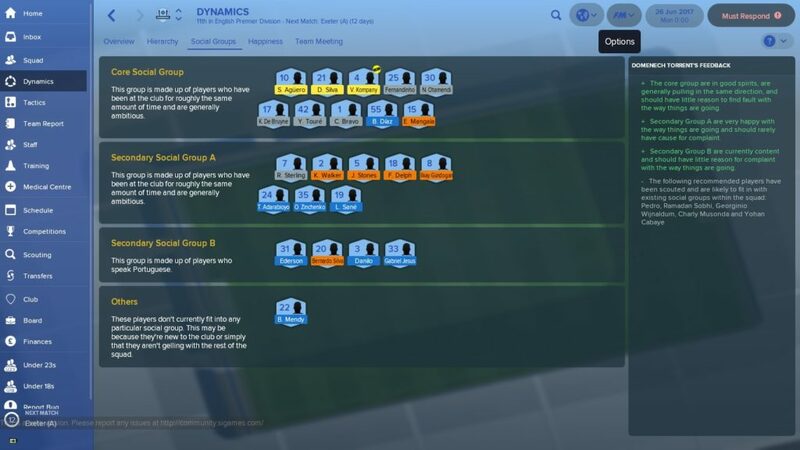 On FM18 you can now get some sort of insight into the social interactions between players thanks to the introduction of ‘Dynamics’. You’ll be able to find out which players get on with one another, who are the most influential characters in the dressing room, and how happy a player is based on an emoji. 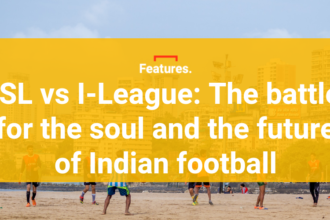 While it’s interesting to see who gets along with who, managing to keep on top of your squad’s dynamics by blending together players with different personalities, nationalities and so on, will go some way to determining how successful you are going to be. Be extra careful when interacting with your players too, as one misguided response could result in you having a mutiny on your hands. The fifth and final feature that we really, really like are the graphics in the match engine which look smoother and sleeker than ever before. As soon as you take charge of your first pre-season game, you’ll notice a couple of subtle additions to the match engine, such as both sets of players heading out of the tunnel and onto the pitch before going through their warm-ups as well as greater responsiveness from the crowd. Before the game gets going, a fancy team sheet for both clubs takes centre stage showing how your opponents are set up tactically (which could be bad news for your data analysts if it’s different to their report…). This is a small feature but it adds to the realism of the whole thing. The gameplay itself also feels more authentic with players moving around the pitch more freely and naturally than on previous editions of the game. We haven’t seen a rabona yet, but we live in hope.